Mink' Edition Starter Kit for Individual Eyelash Extensions. Our starter kit is ideal for those new to eyelash extensions, or for those who only do it part-time. Supplied in our exclusive, black lockable sorbet beauty case. 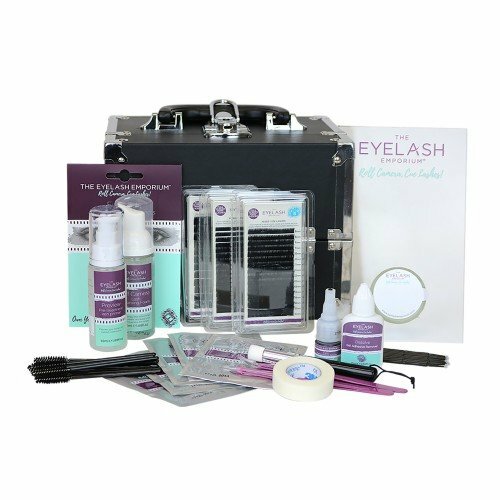 The eyelash extension kit contains the essential materials and tools required for 100-150 full sets of eyelash extensions. Now complete with our famous Platinum Edition 'Mink' tray lashes. More people are now realising the benefits of using tray lashes so our new kit contains 4 trays of C-Curl 'Mink' Tray lashes.